Little to no insulation in the pole barn can lead to a number of problems, including moisture, leaks, irregular temperatures, and condensation. All of these problems can lead to catastrophic issues with the equipment you plan to store in the pole barn, so insulation is a must. The most common insulation materials used in insulating a pole barn are foam boards, fiberglass, and spray foam. RetroFoam of Michigan has insulated pole barns across the lower peninsula. We have helped pole barn owners make their space more comfortable to work in and store their boats, cars, tools, and machinery. 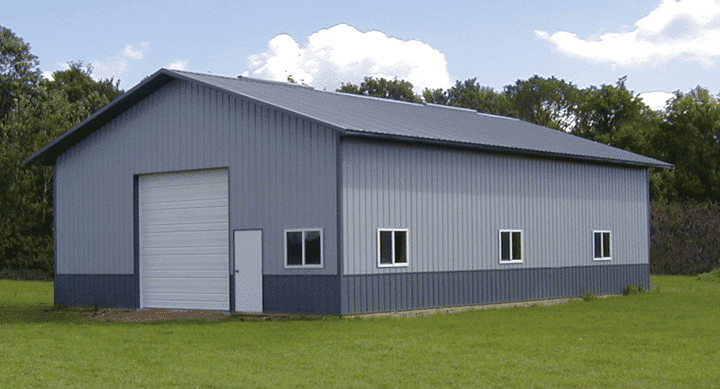 In our continued efforts to educate pole barn owners, we have compiled information on the three most common insulation materials, as well as the pros and cons, installation process, and cost for each. 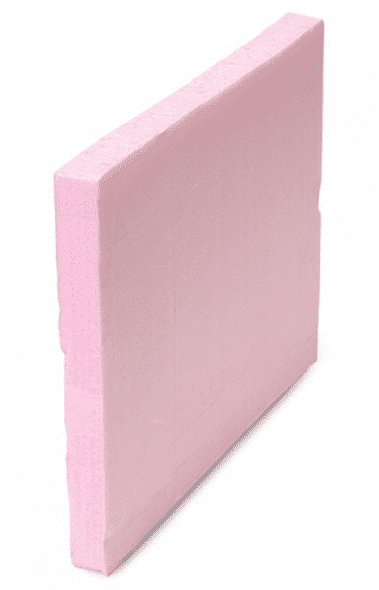 Foam boards are rigid panels of foam insulation that can be used to insulate the exposed walls of pole barns. This material is offered in a variety of thickness, lengths, and facings to better fit the project. Some brands of foam board insulation have a white foil vapor barrier on each side that works to keep water from leaking into the walls of the pole barn, keeping any mold from deteriorating the structure. Rigid foam board insulation is made to be water resistant, so it will help limit moisture buildup and mildew growth in the pole barn. The material can be installed either by a contractor or experienced handyman. The downside of the material is the joints between sheets must be taped or caulked to prevent air flow into the pole barn. The foam board sheets must also be custom cut to fit the areas of the pole barn that need to be insulated. This must be done correctly or it could end up costing the homeowner more money in the end. The foam boards must be custom cut to properly fit the walls of the pole barn. Cutting the material can be a long process to ensure it is cut correctly. To ensure there is no air leakage, the area between sheets must be caulked or taped to prevent air flow into the pole barn. The cost to insulate a pole barn with foam board varies depending on the size of the structure. Thickness and the brand of foam board are also factors in determining cost. For the experienced handyman, there is also the cost of materials, including knives for cutting, tape or caulk, and other fastening materials. There would be an entire separate list of charges for a pole barn owner who decided to hire a contractor. Fiberglass insulation is made from extremely fine glass fibers that reinforce plastic. The material is a traditional form of insulation used in pole barns because it is inexpensive, lightweight, and can be installed as a DIY project or by an experienced contractor. Fiberglass insulation is inexpensive when it comes to insulating pole barns compared to other materials. While the material can slow the transfer of hot and cold air by trapping some of it, fiberglass does not create an air barrier. Fiberglass does little to reinforce the structure of the pole barn, according to The Pole Barn Company. It also does not stop moisture from getting into the structure, thus promoting the growth of mold and mildew. The fiberglass material must be cut to perfectly fit the wall cavities and ceiling of the pole barn. When installing fiberglass, the pole barn owner should wear protective gear including long-sleeved shirts, pants, gloves, goggles, and masks. The particulates in the fiberglass that come into contact with skin can cause rashes, irritation, and itching. If the material is inhaled, it can cause coughing, nosebleeds, and other respiratory issues. The cost to insulate a pole barn with fiberglass varies greatly depending on the size of the structure. Another factor is if the owner plans to insulate the pole barn themselves or hire an experienced contractor. If the owner plans to make it a DIY project, then there is also the cost of materials that need to be factored in. Also, if the insulation isn’t cut correctly the first time, the owner may have to spend extra money to buy more material. Spray foam insulation is an insulation and air barrier that will seal the pole barn walls and ceiling against air movement. When insulating a pole barn either closed cell or open cell spray foam can be used. In the majority of cases closed cell spray foam is used on walls that will be left exposed and open cell spray foam will be used on the ceiling. 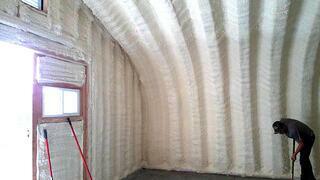 Closed cell spray foam is a much more durable insulation material for exposed pole barn walls. Spray foam also creates an air seal that will help to make the structure weather conditioned while having the ability to regulate the temperature and humidity levels. Spray foam insulation would have to be installed by a contractor as it is too complex a job in the pole barn. The material also is more expensive compared to the other most commonly used options. Any items inside the pole barn must be moved to the center of the structure and away from the walls before the installation. Once crews ensure everything has been moved accordingly, they will then tape plastic over any windows or doors. Next the crews will suit up and begin spray foam on the walls and ceiling. 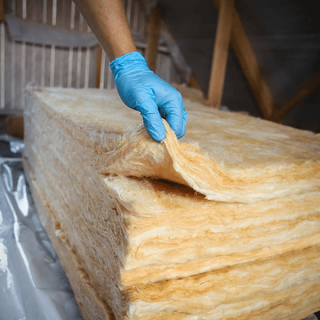 There are several differences between open cell and closed cell spray foam insulation, including composition, blowing agent, sound dampening capabilities, and moisture permeability. Both materials create an air seal. If the walls will remain exposed, then closed cell spray foam is a better option because it is more durable. If the walls will be covered, then open cell spray foam is used. In either case, open cell spray foam is used to insulate the ceiling of the pole barn. Pole barns come in all shapes and sizes, which means the cost to insulate the structure varies greatly. Closed cell spray foam tends to be a more expensive material when compared to open cell, so that is something to consider when planning for your project. It’s time now to decide which insulation material will be the best fit for your pole barn insulation needs. If you’d like to learn more about the benefits of spray foam insulation, check out our learning center. If you’ve made your decision and would like to schedule a free estimate, give us a call at 866-900-3626, or fill out the form on our website.